Delightfully demure and exuding classic style, our bridal earrings complement a range of bridal gowns from classic, modern to vintage-inspired. 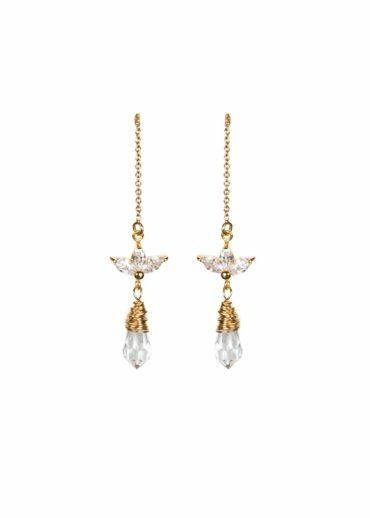 Whether you’re walking down the aisle in an intricate and ornate wedding dress, or a structured gown with modern appeal, the delicate beauty of a set of earrings can be the perfect accompaniment. If dramatic earrings and a classic veil are your idea of the perfect bridal look, our pearl drop earrings offer stand out style, and a contemporary vibe with feminine appeal. Designed for the modern bride with exquisite taste, a love for old-school glamour and an appreciation for the finer things.